Boston, MA According to Workbar, a Massachusetts-based coworking and office space company, its newest workspace in the city’s Back Bay, designed by Analogue Studio, has been awarded WELL Certification by the International WELL Building Institute. The distinction was awarded through IWBI’s WELL Building Standard (WELL), which is the premier building standard to focus on enhancing people’s health and wellness through the buildings where people live, work and play. The 11,000 s/f space can accommodate up to 300 coworking members and features Workbar’s signature neighborhoods designed to meet the needs of different work styles. Created through seven years of rigorous research and development working with leading physicians, scientists, and industry professionals, the WELL Building StandardTMis a performance-based certification system that marries best practices in design and construction with evidence-based scientific research. 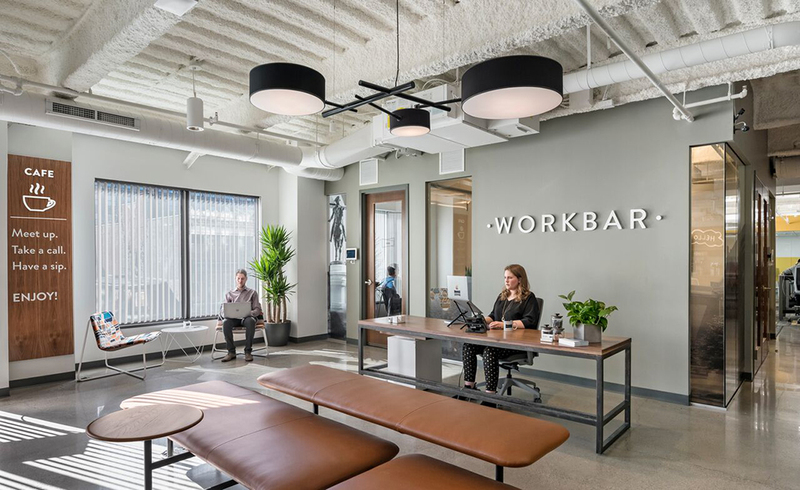 Workbar Back Bay earned the distinction based on seven categories of building performance: Air, water, light, nourishment, fitness, comfort and mind–and achieved a Silver level rating. “Analogue Studio’s workspace design is driven by the belief that thoughtful, holistic design can advance human well-being and productivity. This approach to designing the complete experience is what attracted Workbar to us in 2012 when our partnership began,” said Vince Pan, founder and principal of Analogue Studio. Steps from Boston’s Public Garden and Newbury St., Workbar Back Bay offers offers a functional neighborhood-style open plan design, ten private offices, ten phone rooms, nine conference rooms, a Café, multiple breakout meeting spaces, a podcast recording room, and free access to the location’s gym.In partnership with Analogue Studio, Osram, and Equity Office, Workbar Back Bay incorporates wellness features into seven concepts: air, mind, water, nourishment, light, fitness, and comfort. WELL is grounded in a body of evidence-based research that explores the connection between the buildings where we spend approximately 90% of our time, and the health and wellness impacts on us as occupants of these buildings. To be awarded WELL Certification by IWBI, Workbar Back Bayunderwent rigorous testing and a final evaluation carried out by Green Business Certification Inc. (GBCI), which is the third-party certification body for WELL, to ensure it met all WELL Certified Silver performance requirements.